The above presentation is highly inspired by Indrajeet’s”Adhipotoba”-Mutton Biryani , who has an amazing blog of simple recipes, innovatively presented and humorous but nostalgic write ups! 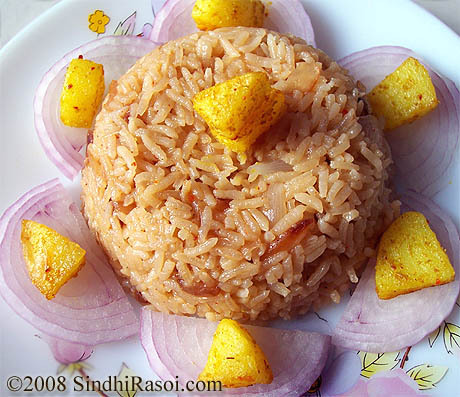 Signature Sindhi style rice with caramelized onions, with subtle flavors of garam masala. 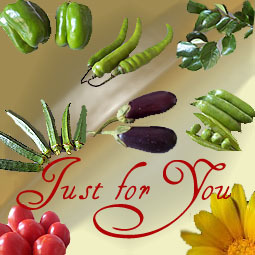 Serve piping hot, it taste heavenly with saibahji or paneerpalak, soyabean or mutter paneer. Thanks Alka for sharing these wonderful recipes. 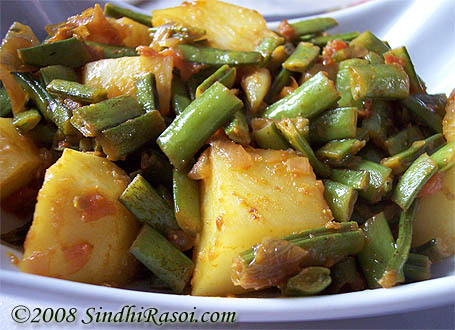 I realized the importance when I had to cook one on my own.. had no clue…and the first thing I remember was sindhirasoi.com for help/reference. 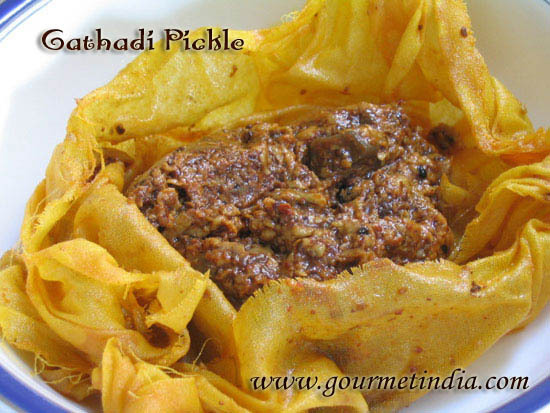 I have tasted this at a Sindhi friends place…have tried it today and it was heavenly in taste..Thanks for posting such a nice recipe.